Don’t you just love all things Disney? I can’t even tell you which classic Disney movie is my favorite because I love them all. So much of my childhood was spent watching Disney movies on VHS. 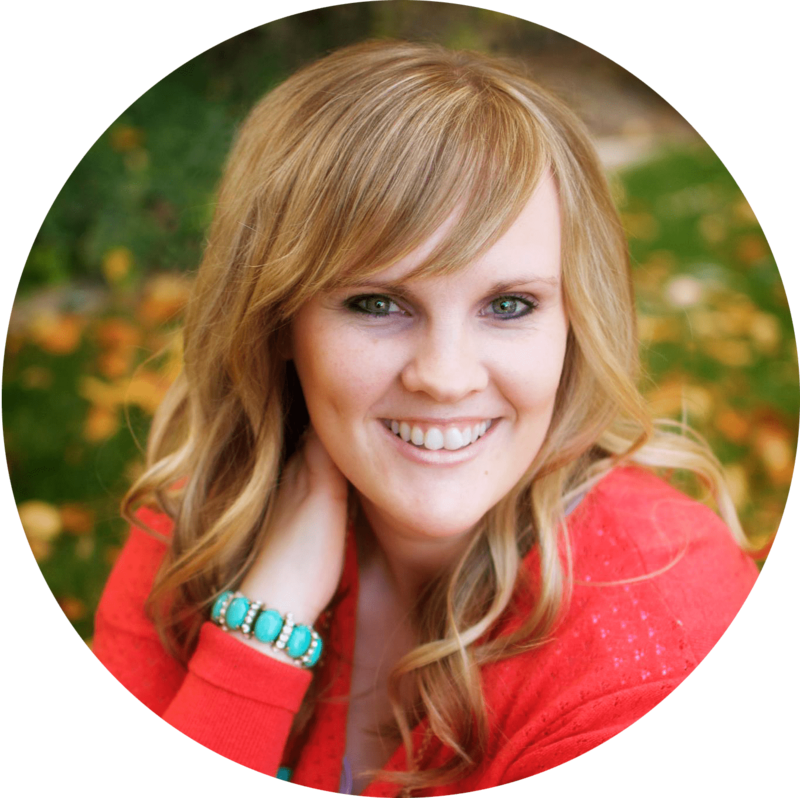 I was thrilled when I was invited to participate with Girl Loves Glam and other bloggers, along with Get Away Today, to give one of our readers the ultimate Southern California trip. 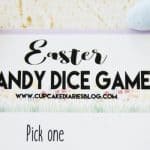 Along with the giveaway, each of us are sharing a Disney themed gift idea. 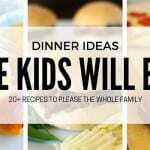 So many fun recipes, crafts, and other tutorials! These cupcakes would go great with some of the different projects being shared today. So let’s talk about these cupcakes! Believe it or not, these little little cuties are pretty darn easy to put together. First of all, they’re made with a chocolate cake mix and canned frosting. As stressful as it is to put a birthday party together, why make the cake and frosting from scratch? I’m all about the box and can! After baking the cupcakes in red and pink wrappers, glue white buttons onto the red wrappers and pipe frosting onto all 24. 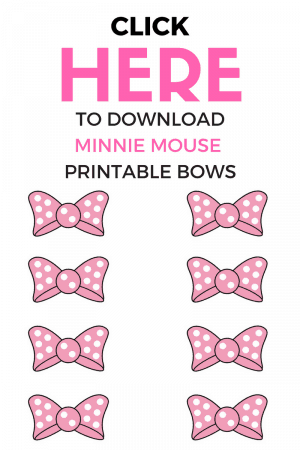 Then top with the little Oreos and Minnie bows, a printable that you can download below! And that’s it! 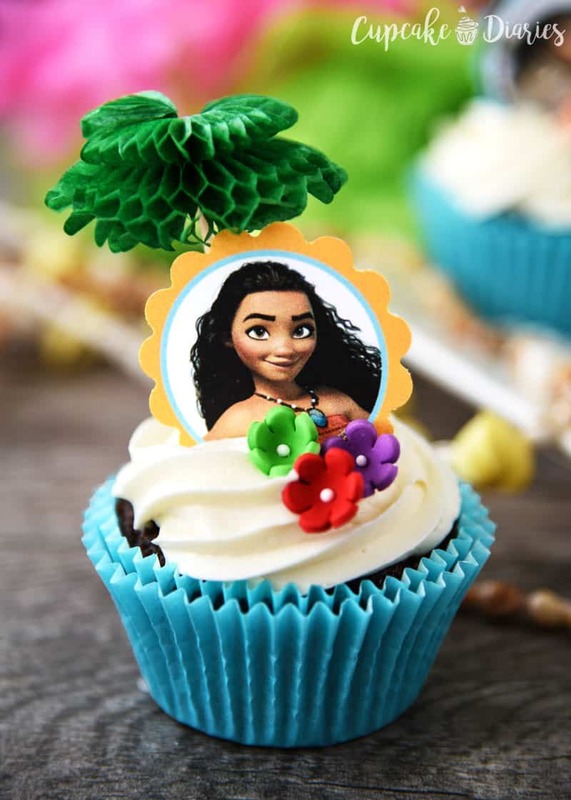 These cupcakes are so much fun and the perfect dessert for a birthday party. 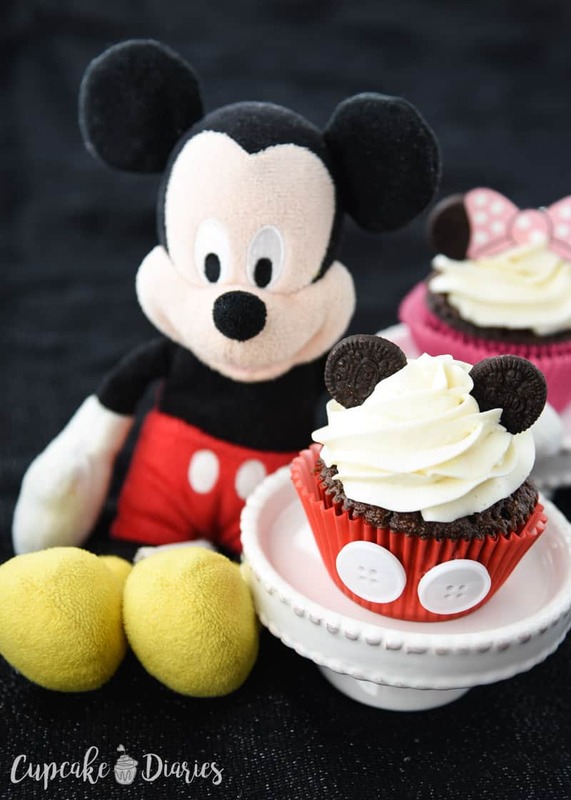 You could make just Mickey cupcakes are just Minnie cupcakes if you don’t want to do a Mickey and Minnie party. 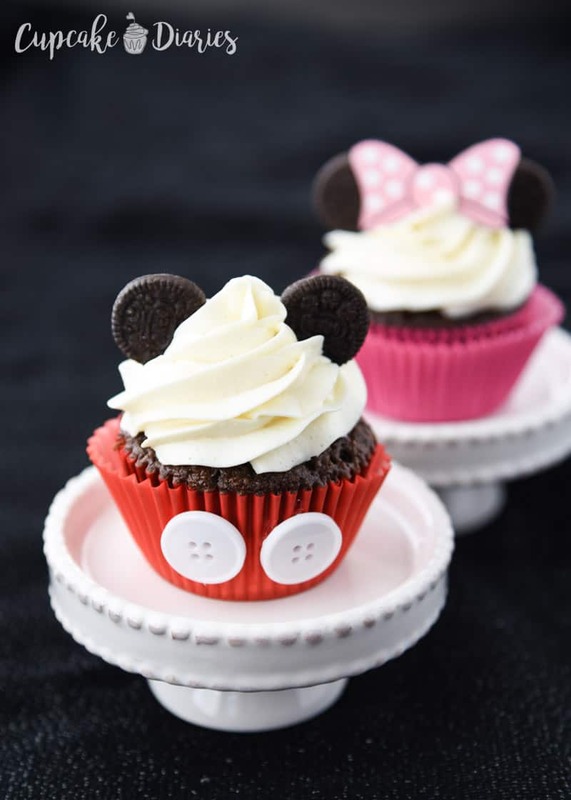 The Mickey and Minnie fans in your family are going to love these cupcakes! 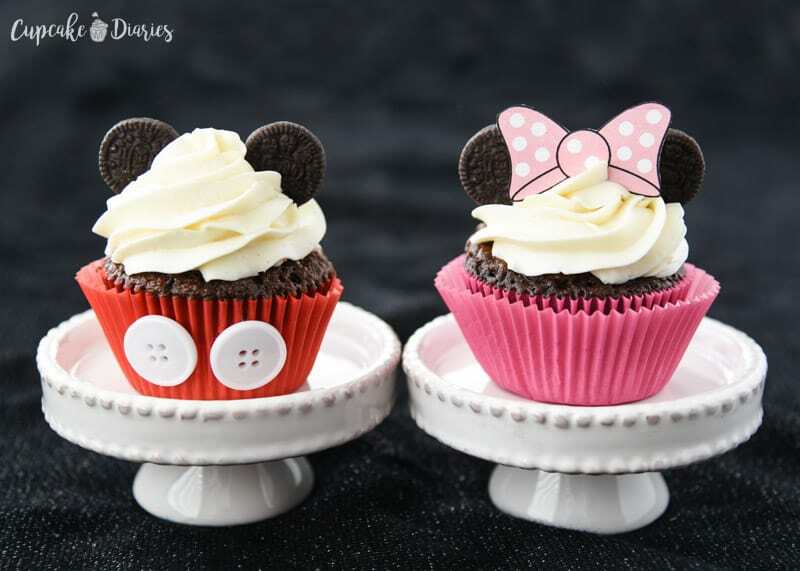 They're the perfect treat for a Mickey and Minnie birthday party. Or separately! Preheat the oven to 350° F. Line muffin tin(s) with red and pink cupcake wrappers. 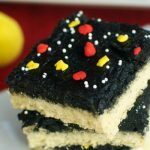 Combine cake mix, eggs, buttermilk, and vegetable in an electric mixer. Mix for 2 minutes on medium speed. Use an ice cream scoop to distribute cake mix evenly amongst the 24 cupcake liners, about 2/3 full. Bake 15-17 minutes, or until toothpick inserted comes out clean. 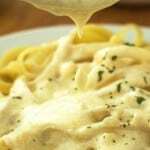 Carefully remove from pans and place on a wire rack to cool. Pull mini Oreos apart to make two separate cookies. 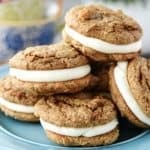 Use a butter knife to scrape the cream off the cookies; set aside. 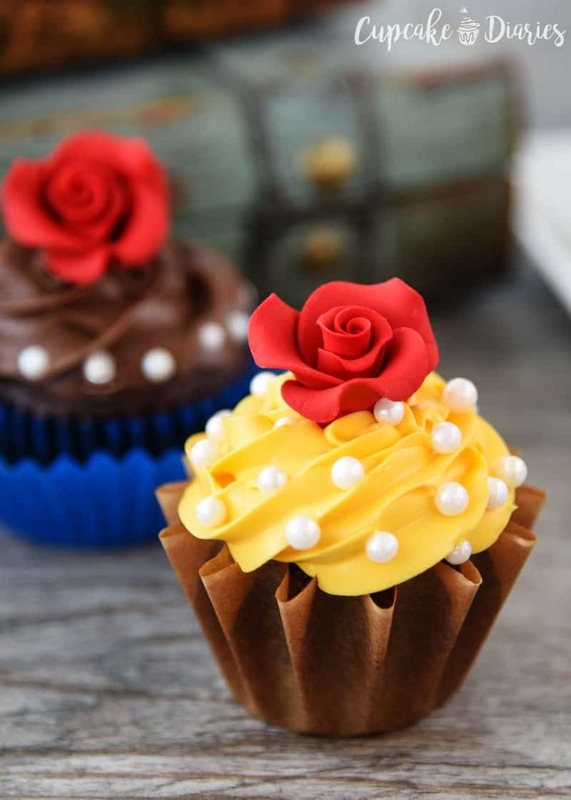 Use a hot glue gun to carefully glue two buttons on the front of each red cupcake. Affix a frosting bag with 1M star tip. 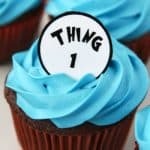 Add frosting and pipe onto each cupcake. 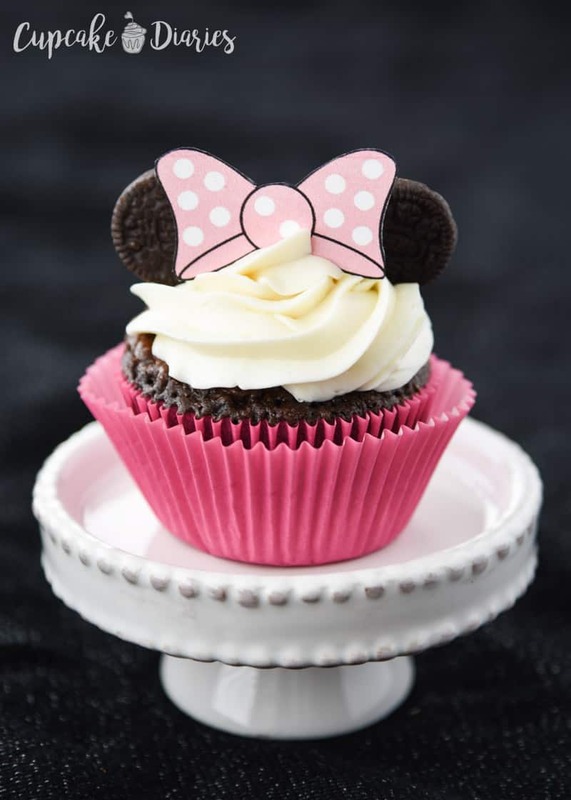 Top with two mini Oreo halves to make the ears then top pink cupcakes with a pink printable bow. Serve and enjoy! 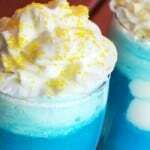 Click on each of the links below to see the other Disney-inspired recipes and tutorials. So many great ideas! Remember to pin them to your Pinterest boards to save them for later. 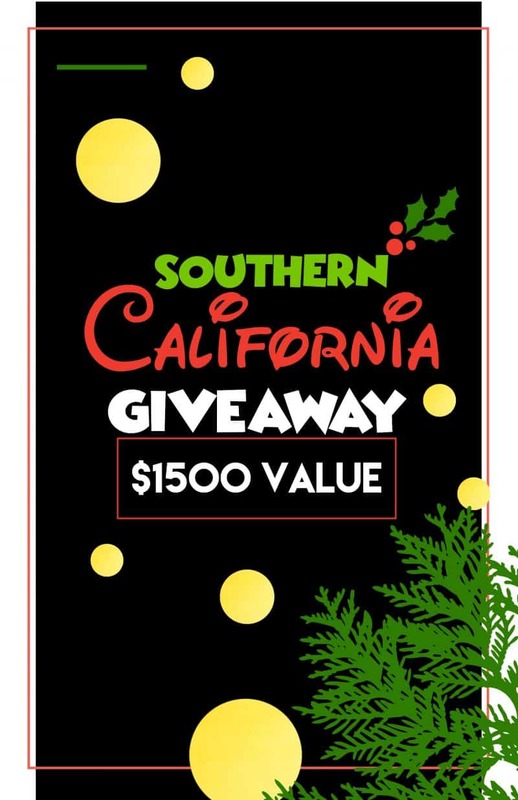 All of these bloggers have teamed up with Get Away Today to give a holiday Southern California giveaway! One lucky reader is going to win a 3-night Southern California hotel stay with 2 adult and 2 child 1-day tickets to two attractions of their choice. The winner can choose from the following parks: Disneyland, California Adventure, Knott’s Berry Farm, Universal Studios Hollywood, SeaWorld, San Diego Zoo, San Diego Safari Park, and Legoland. This prize is valued at $1,500! Scroll a little bit farther to enter. 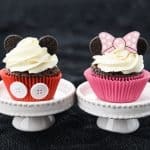 Oh my goodness, these are the cutest mickey and minnie cupcakes ever! So adorable, I’ve wanted to try and make something like this for years, thanks so much!! How cute! The printables are adorable 🙂 I especially love the buttons on Mickey’s! 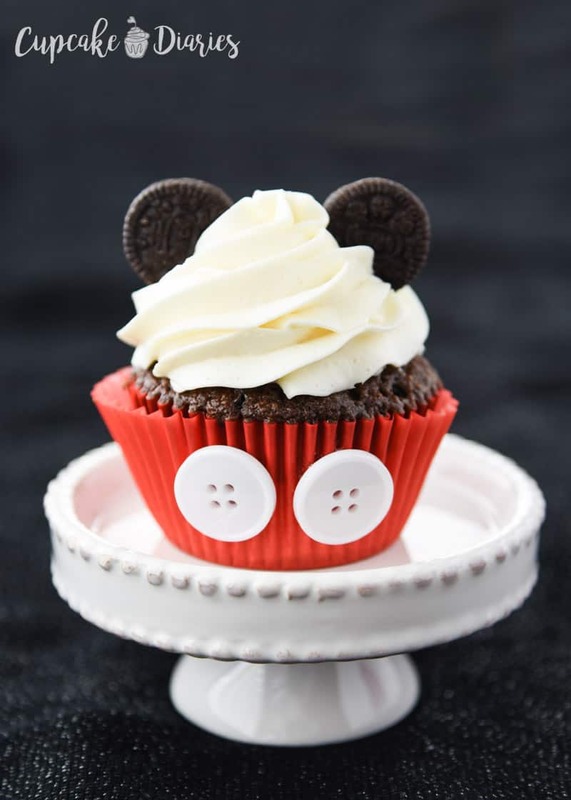 I love these adorable cupcakes, especially the buttons for the mickey cupcakes. I haven’t seen that before and it is such a nice touch. 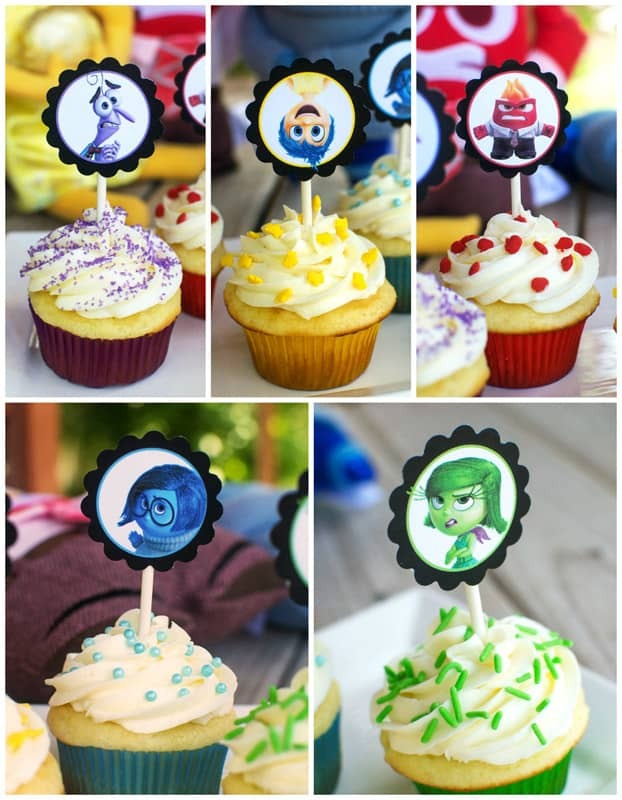 All your disney cupcakes are awesome! Thanks so much, Emilie!! I really appreciate that!